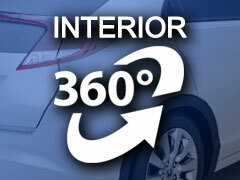 If you’re looking for used cars for sale in Harrisburg, PA, you’ve come to right place. We have regular used car specials, daily deals, and even coupons and specials on parts and service. If you’re in the market for a full-sized SUV, stop by! We have plenty for you to test drive. If you need a strong pickup truck for work or the weekend, we have a full selection of Ford F-150s in stock. And if you need a reliable compact car or sedan, we have the Fusion, Focus, and Fiesta all available. We even have deals on the ever-popular Ford Mustang. If you have questions about our used cars for sale in York, PA, give us a call! You can also reach us online or visit our dealership in person. Get fantastic deals on used cars in Harrisburg, PA every single day! These offers are updated regularly, so if you see something that looks particularly good, you’d better act fast. As you can imagine, our more competitive offers generate a lot of interest. Our daily deals include trucks, SUVs, sedans, compact cars, and crossovers. You can even find tremendous deals on non-Ford vehicles--if we come across a car that we think presents good value to our customers, we’ll sell it. Keep your eyes open for regular additions to this part of the website. You don’t want to miss out! Of the many used car dealerships in York, PA, we pride ourselves in having one of the best service centers around. Our technicians are highly trained, they use state-of-the-art equipment, and they understand how Ford vehicles work better than anyone. Here’s the thing--the skill of our technicians isn’t the only reason to stop by our service center. We offer regular deals and coupons on both parts and service. All you have to do is present the coupons (either printed out or on your mobile device) to start saving money. If you aren’t sure whether there are any deals on your desired vehicle service or not, check the website or give us a call--we’d love to hear from you. You can also order parts through our online order form. Our Ford parts are all OEM parts, so if you’re trying to repair used cars in York, PA on your own, these parts won’t reduce the resale value after they’ve been implemented.